Bruce King - Speakers Academy vindt de beste spreker en dagvoorzitter voor uw bijeenkomst. | Speakers Academy vindt de beste spreker en dagvoorzitter voor uw bijeenkomst. Keynote Speech: How To Train Your Brain To Win The Game  Any Game You Want! 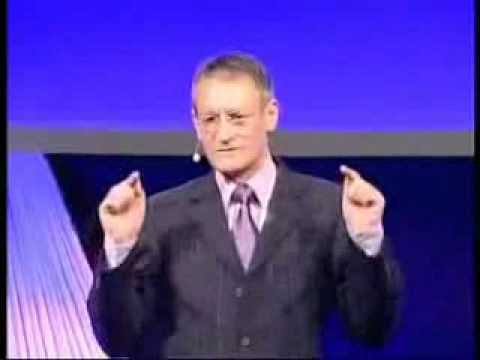 Bruce King has spent more than 25 years working with organizations and speaking to audiences around the world on the subjects of increasing sales and achieving more in any area of their business and personal life – in other words - helping companies and individuals to become ‘World-Class Achievers’. He is a member the Fellow of The Institute of Sales & Marketing Management (FInstSMM) and a Fellow of the Institute of Directors (FInstD), one of Europe’s most prestigious business organizations. Sitting on the board of several companies has also provided him with the knowledge of what companies want and need to be successful. He is often asked how he is able to achieve the extraordinary results that he does with the people he works with. Bruce King believes that everyone has an extraordinary capacity for achieving great success. He knows how to help people identify what may be holding them back from achieving what they want out of their lives and their careers and I take them through some very simple processes to remove those barriers to becoming World-Class Achievers. He can do that with a small group or a large audience. When it comes to helping people to increase their sales dramatically, he has the advantage of having ‘been there - done that - bought the T-Shirt’. And he is still selling most days in some way or another – aren’t we all? If we are not directly employed to sell our organization’s products and services, we are still selling our ideas to our team, the press, our financiers, our shareholders our suppliers and a host of other people. Bruce thinks that everyone in business is in sales – or at least should be! Bruce King has an personal mission and is to motivate and inspire people to believe they can achieve anything they want in life and give them the techniques they need in order that they may become world-class achievers. What's the point of having a conference if it doesn't increase sales? Why we still have to close sales & How to close them! Bruce King’s first sales book titled 'Psycho-Selling' was published by BBC Books and became an international best seller. ‘How To Double Your Sales In 6 Weeks’ is the long awaited follow up and is a six-week program which will take you step by step through the processes required to achieve a quantum leap in sales. Whether you are new to sales or a seasoned sales professional, 'How To Double Your Sales In 6 Weeks' will enable you to achieve just that. Bruce starts your program by sharing with you his simple and highly effective techniques to remove any psychological barriers you may have to achieving an extraordinary increase in sales and to program your mind to easily achieve greater success in your sales career. Then you will learn simple techniques to improve your time management skills and double the amount of selling time you have available to you. You will learn how to prospect for new business without ever having to make a cold call again. You will learn how to take control of the sales process, present your offering in the most powerful way and, in the unlikely event you encounter objections to your proposals, how to overcome these. Having to close a sale will be a thing of the past - prospects will be asking to do business with you! Just read one chapter a week and put into practice what you learn. At the end of the six week program you, too, will have Doubled Your Sales. "The Minister for Commerce has asked me to thank you kindly for your wonderfully inspiring presentation. Those leaders who attended now have more dedication, commitment and motivation to building Bangalore into the City of Technology it plans to be". "I really found the workshop last week you ran for the IOD very helpful - sales are heading in the right direction already toward double!" "That was the best sales conference we have ever run, and even more remarkable as this is the first time we have had an English speaking presenter speak at an event."